All Kinergy Driven Vibratory Machines have very versatile operating capabilities. It only needs to be electrically combined with a standard VFD (Adjustable Frequency) control. With the use of a VFD, the output can be smoothly varied over a broad range of outputs from virtually zero to its rated amount (TPH). It can also be automatically and repetitively “Pulsed” to a more vigorous vibratory action to better perform challenging applications. Other variations can be made automatic by utilizing the 4 to 20 ma d.c. signal that’s also provided. Since none of this operating versatility causes any detriment to the A.C. Squirrel Cage, Induction Motor(s) that sustains the Vibratory Motion, it does not change, limit, or void the machine’s warranty. The Kinergy Drive System represents the most advanced vibratory drive engineering technology. Peculiarly, its basic theory and design approach was derived from the pursuit and the eventual favorable resolution of the initial problems encountered with the abstracts of the “Induced Vertical Flow” of bulk solids from Storage Bins, Silos, and Piles. The Kinergy Vibratory Drive is the first to be successfully applied to many different types of “Induced Conveying” units of various functions. For example, Vibrating Feeders, Conveyors, Screens, Spiral Elevators, Fluid Bed Dryers and Coolers, Shakeouts, Vibrating Stoker Grates, or similar units, can now be powered by the same means. This Vibratory Drive consumes less power, is fully adjustable in output by simple electrical control and, by practical design, has “common” components. Plus, it can tolerate abuse such as severe shock loads and head loads. Wide and long units can be built, operating sound levels are low; it is simple and easy to maintain. Best of all, it is competitively priced! This Vibratory Drive achieves the most effective use of “kinergy”, which is defined as the kinetic energy developed by a spring’s motion during the drive portion of its cycle. The maximized use of “kinergy” is why it is labeled the “Kinergy Vibratory Drive”. 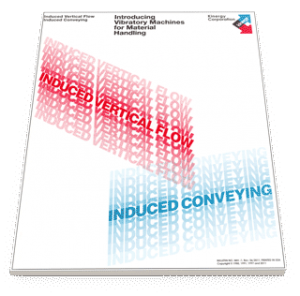 For powering “Induced Conveying” machines, it has proven to be the most versatile and “energy efficient” Vibratory Drive known. Counterbalanced and Isolated: Kinergy always recommends the “counterbalanced” design. It eliminates nuisance vibration from surrounding areas. Operating Flexibility and Versatility: By taking advantage of the inherent, electrically adjustable output, the units can have their operating strokes and frequencies automatically “pulsed” to minimize screen blinding, adhesion to the conveying trough, or to obtain needed retention time for drying or cooling. Minimal Components: Only three components make up the Kinergy Vibratory Drive. They are the flat bar type stabilizers, steel coil drive springs and the vibratory motor. 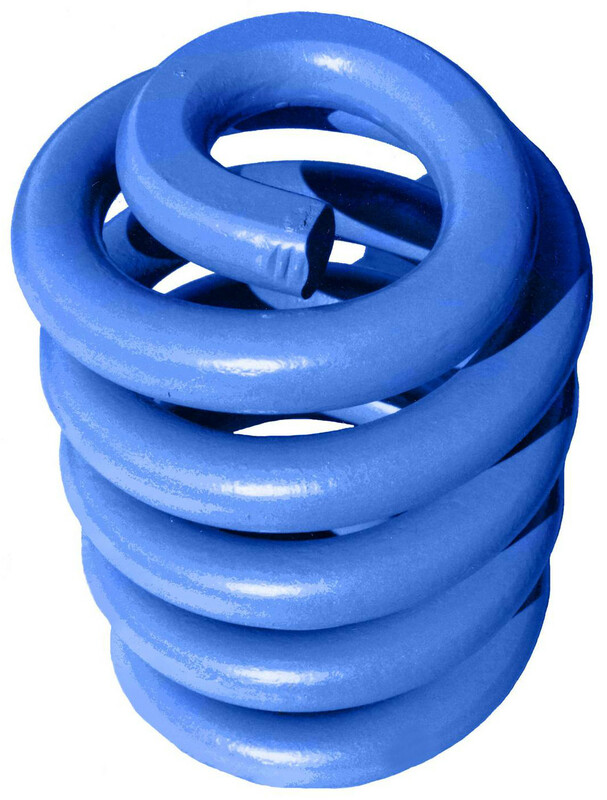 On some light-weight designs, the steel coil type drive springs are omitted. Any of these components can be changed in less than one hour by two mechanics possessing reasonable skills. This minimizes down time. Reduced Wear: Kinergy units have a longer service life. The “linear stroke” accomplishes this benefit because this type of vibratory action reduces “sliding” abrasion. Minimal Attrition: The vibratory action of a Kinergy unit is “gentle”; therefore, particles are not damaged. Bearings: The large bearings and their often used lubrication systems are eliminated. 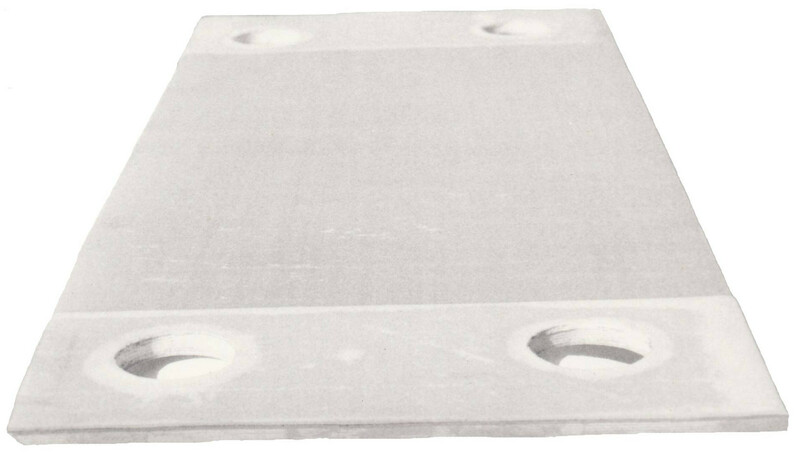 Smooth Starts and Stops: The severe wobble at starting and stopping by previous units has been eliminated. No “snubbers” are needed. Low Sound Level: Kinergy units operate exceptionally smooth and quiet. Typically, less than 60 dBA when in the “no load” or empty condition. Under “load”, they seldom exceed 80 dBA. Minimal Maintenance: Our units are designed with components specifically designed to endure the vibratory action. Maintenance requirements for Kinergy’s machines are markedly reduced. Larger Dimensions: Since the driving forces are “distributed” around the diameter or across the width and along the length of a Kinergy unit, any previous design restrictions with regard to these dimensions have been removed. This allows these machines to be offered in widths to 18 ft. in standard designs and with lengths and diameters as required. Interchangeable Parts: Most of the component parts of the Vibratory Drive are interchangeable with other Kinergy Driven units even though their functions may differ. These common components extend to Feeders, Conveyors, Fluid Bed Dryers and Coolers, Spiral Elevators, and the various types of Foundry units. This reduces the number of spare parts required. Easy Start-up: Each vibrating machine is factory tested in the “no load” condition prior to shipment. Aside from confirming the motor’s proper direction of rotation at “start-up”, usually nothing further needs to be done. Simply the Best: With no more than three component parts, the design of the Vibratory Drive is about as “simple” as it can be. The optimum stroke angle, smooth and quiet operation with only minimal maintenance, adjustable stroke and frequency which enables “pulsing”, and the highest degree of energy efficiency combine to assure the “best” performance level. Combining this “simple” design with the “best” performance rating makes the Kinergy Vibratory Drive “Simply the Best”. All vibratory units utilize the same basic principle of material conveying or shaking action. 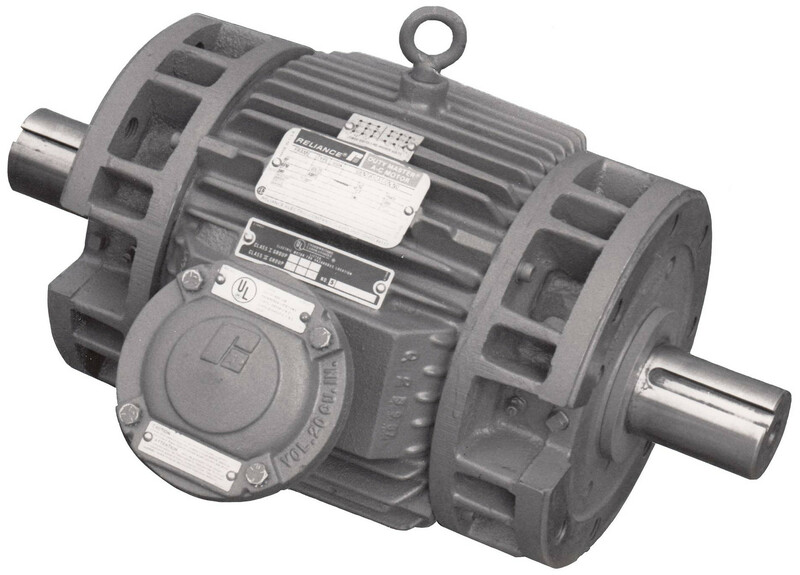 All that varies is the type of vibratory drive system employed. This determines their stroke pattern, width and length limits, operating stroke and frequency, ease of output adjustment, and loading capability. The Kinergy Vibratory Drive has proven to be the most versatile and energy efficient drive known. This Vibratory Drive is the primary advantage that sets Kinergy apart from the others when the various kinds of “Induced Conveying” type of vibratory machines are comparatively evaluated. To learn more about this unique Vibratory Drive, please call 502.366.5685 or download Kinergy’s Technical Bulletin KDB-1 entitled “Moving and Processing Bulk Solids by the Kinergy Drive System“.